Ingredients: Aqua (Water), Kaolin, Cetearyl Alcohol, Cetearyl Glucoside, Phenoxyethanol , Behenyl Alcohol, Citrus Aurantium Bergamia (Bergamot) Fruit Oil, Butyrospermum Parkii (Shea Butter), Benzoic Acid, Glyceryl Laurate, Hydrogenated Castor Oil, Stearyl Alcohol, Dehydroacetic Acid, Sodium Hydroxide, Protease, Subtilisin, Mentha Piperita (Peppermint) Oil, Citral, Limonene, Linalool, Mica, CI 77491 (Iron Oxide), CI 77891 (Titanium Dioxide). 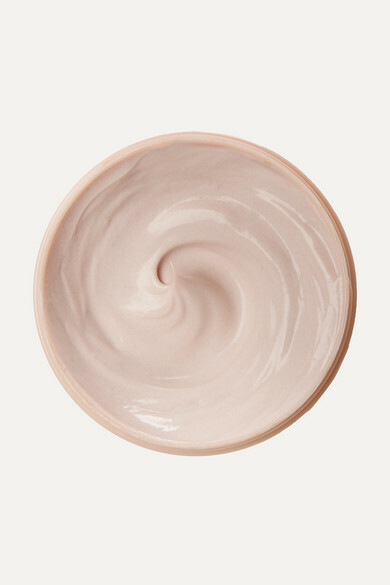 Lixirskin's 'Soft Clay Rubber' is modeled on traditional French facials, resulting in impeccably clean and purified skin with less visible pores. 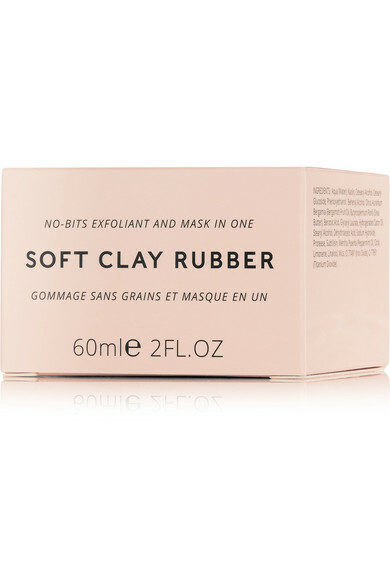 The rub-off formula combines enzymatic and mechanical exfoliation that break down dead cells, and has White Clay to draw out impurities and clear excess oil. Leave it on to dry and your skin will feel clean and smooth.